Engineering and maintenance are two of the most hazardous industries, with huge potential for serious injuries if precautions are not taken to safeguard individuals working in them. Not least of these potential hazards are dust and fumes, both common by-products of these industries that can lead to significant harm to the worker’s respiratory system. Each type of respiratory product must also conform to its own individual standard. These include EN149 for disposable dust masks; EN140 for reusable half masks; and EN143 and 14387 covering filters and vapour filters. There is also the standard EN529 for selection, use and maintenance of respirators. Engineering carries similar hazards to those found in the maintenance industry. Painting may give off dangerous but invisible organic vapours as well as particles, particularly if it is being sprayed, which although cannot be seen, can be smelt. However, if you get a strong smell, it’s too late to put on your respirator. Often in spray painting, workers using powered devices lift up their face shields to look at their work, so getting no protection at all. 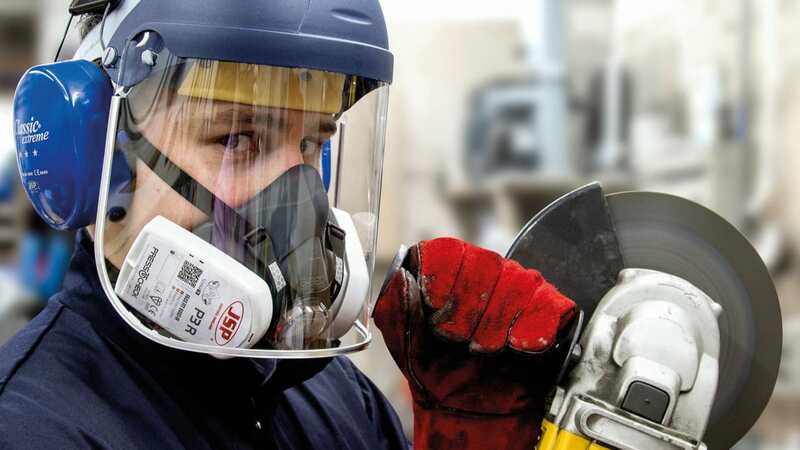 Selecting the right sort of unit that enables the user to see properly whilst still getting respiratory protection is essential.